Is There A Curse With Winning Big Money In The Lottery? Last Saturday, a single ticket-holder won the Pennsylvania Powerball jackpot valued at 456.7 million dollars, becoming an instant millionaire like few others in the history of state lotteries. Are you feeling a bit envious? Don’t be. Winning the lottery can be bad for your health, in more ways than one. In fact, winning the lottery can be dangerous. How? Past lottery winners seem to understand that. The New Hampshire winner of February’s 559.7 million-dollar Powerball jackpot, for example, went to court recently in an effort to keep her name anonymous. Her attorney explained her concern: “She is a longtime resident of New Hampshire and is an engaged community member… She wishes to continue this work and the freedom to walk into a grocery store or attend public events without being known or targeted as the winner of a half-billion dollars." That’s an understandable concern, given what’s happened to past lottery winners. 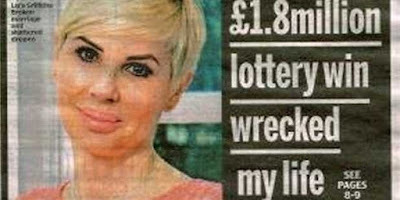 For some, winning the lottery was physically dangerous. 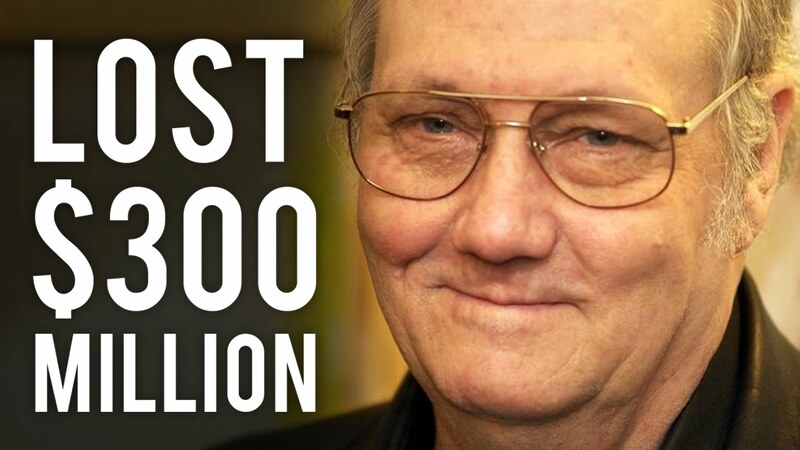 Abraham Shakespeare was murdered in 2009 after winning a $30 million jackpot. The suspect, a woman who became his girlfriend after he won the lottery, shot him twice in the chest and then buried him under a slab of concrete. For some, winning the lottery was behaviorally dangerous. Ronnie Music Jr., for example, won $3 million in a Georgia lottery but found the temptation to make even more money too great and eventually invested part of his winnings in a crystal methamphetamine ring. He recently started serving a 21-year sentence for the crime. Stories like these are not unusual. In fact, they’re more the norm than the exception. Winning the lottery has been described as a “curse,” and according to the National Endowment for Financial Education, 70% of those who receive large cash windfalls lose them within just a few years. Winning a large amount of money can be physically, emotionally and behaviorally dangerous because money, at it’s core, can be spiritually dangerous. Jesus of Nazareth warned his followers about this nearly two thousand years ago; he talked about money more than any other topic aside from the Kingdom of God. Why? Was he trying to solicit money from his listeners? No, Jesus wasn’t seeking their money, he was seeking their hearts; and he knew these two things were desperately interconnected. He famously taught, “Where your treasure is, there your heart will be also” (Matthew 6:21), and although he never condemned material wealth (or those who possessed it), he didwarn against the obsessive pursuit of money: “No one can serve two masters, for either he will hate the one and love the other, or he will be devoted to the one and despise the other. You cannot serve God and money” (Matthew 6:24). Interestingly, the vast majority of people who play the lottery have been playing it for years. Several winners are, in fact, prior winners. Most jackpot winners have been consistently pursuing the dream of a “big win” for a very long time. One such long-time player (and multiple winner), Richard Lustig, even wrote a book teaching other lottery players how to re-invest their winnings – by playing the lottery more frequently. Lottery winners are often devoted lottery players; they have been consistently (and often obsessively) pursuing money. Most of us recognize the relationship between satisfaction and duration. The longer something lasts (and the longer we enjoy it), the more satisfying we typically find it to be. In seeking the next big lottery jackpot, most players hope to win enough money to last the rest of their lives. Why? Because they are seeking satisfaction that will last a lifetime. But if the Christian worldview is true, each of us are eternal beings, created in the image of God, and destined to live forever - well beyond the temporal lives in which we could spend our lottery winnings. If we’re looking for real satisfaction, the kind that lasts forever, we must look to God rather than money. The cultural proverb, “You can’t take it with you,” is true of money, but not true of God. He goes with us into eternity, well beyond our lottery winnings. The lottery can be so dangerous because it takes your eyes off the goal. Not the physical, emotional or behavior goal, but the spiritual goal: to seek and find the true source of eternal satisfaction.